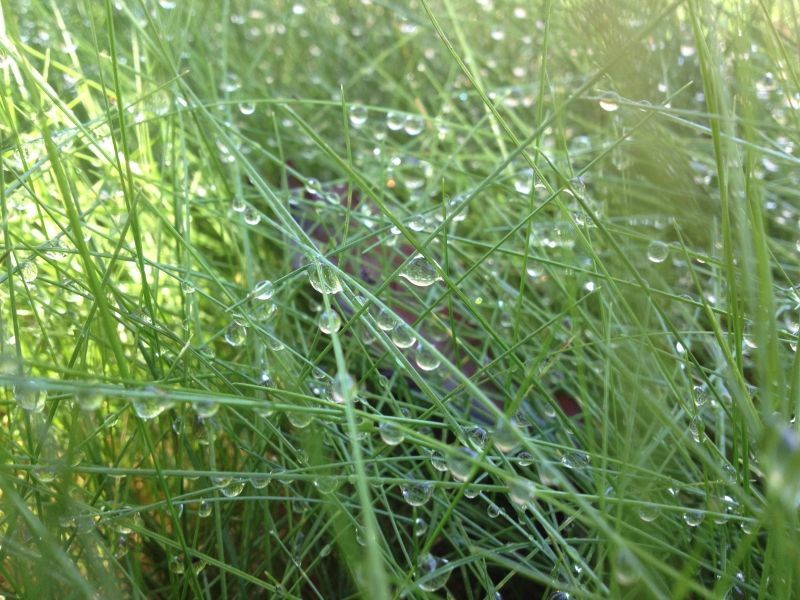 Dew is condensation that forms on objects such as grass, flowers, awnings, etc. that are exposed outside. As the objects cool from the sun's warmth, water in the air condenses more quickly than it can evaporate, forming water droplets.